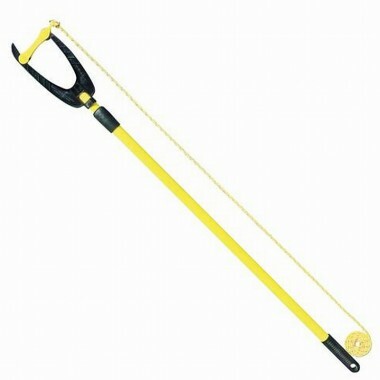 Moorfast threads rope through a ring or around a cleat up to 2m away with a simple push-pull action. Boat owners know that mooring can be difficult, particularly if you are on you own or short-handed. The wind may be blowing. There may be a couple of knots of tide running and you are trying to get onto a mooring that may be unfamiliar to you. You need to be able to do this first time, every time. We all know that there are products on the market that can help, but do any of them work as easily as MooR FasT. MooR FasT works with buoys, pile moorings, marina berths and locks. In fact, almost anywhere that you need to thread a line through or around. The shape even allows you to lift up a pontoon ring and thread your line under it. Built to last in a marine environment. MooR FasT is manufactured from hi-tech materials and built to last in a marine environment. The design has been carefully researched and tested in practice by boat owners for ease of use. The ergonomic telescopic pole is made from a high-strength, light weight composite material and halves in length for easy stowage.